We are delegates representing diverse organizations and international movements of small-scale food producers and consumers, including peasants, indigenous peoples, communities, hunters and gatherers, family farmers, rural workers, herders and pastoralists, fisherfolk and urban people. Together, the diverse constituencies our organizations represent produce some 70% of the food consumed by humanity. They are the primary global investors in agriculture, as well as the primary providers of jobs and livelihoods in the world. 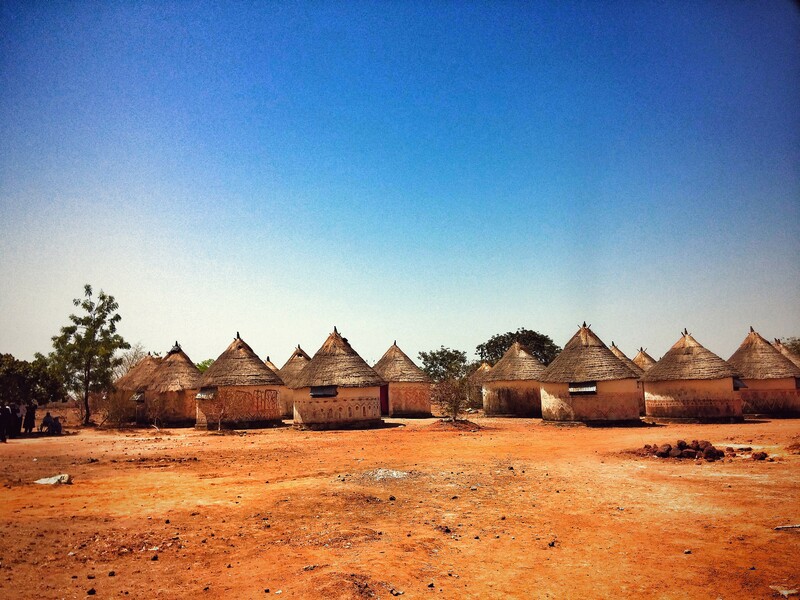 We gathered here at the Nyéléni Center in Sélingué, Mali from 24 to 27 of February 2015, to come to a common understanding of Agroecology as a key element in the construction of Food Sovereignty, and to develop joint strategies to promote Agroecology and defend it from co-optation. We are grateful to the people of Mali who have welcomed us in this beautiful land. They have taught us through their example, that the dialogue of our various forms of knowledge is based on respectful listening and on the collective construction of shared decisions. We stand in solidarity with our Malian sisters and brothers who struggle – sometimes sacrificing their lives – to defend their territories from the latest wave of land grabbing that affects so many of our countries. 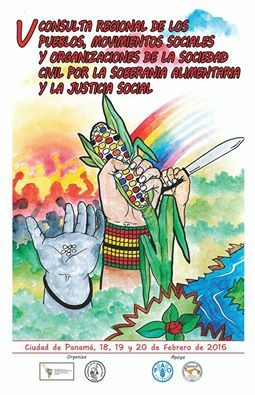 Agroecology means that we stand together in the circle of life, and this implies that we must also stand together in the circle of struggle against land grabbing and the criminalization of our movements. Our diverse forms of smallholder food production based on Agroecology generate local knowledge, promote social justice, nurture identity and culture, and strengthen the economic viability of rural areas. As smallholders we defend our dignity when we choose to produce in an agroecological way. The industrial food system is beginning to exhaust its productive and profit potential because of its internal contradictions – such as soil degradation, herbicide-tolerant weeds, depleted fisheries, pest- and disease-ravaged monocultural plantations – and its increasingly obvious negative consequences of greenhouse gas emissions, and the health crisis of malnutrition, obesity, diabetes, colon disease and cancer caused by diets heavy in industrial and junk food. Popular pressure has caused many multilateral institutions, governments, universities and research centers, some NGOs, corporations and others, to finally recognize “Agroecology”. However, they have tried to redefine it as a narrow set of technologies, to offer some tools that appear to ease the sustainability crisis of industrial food production, while the existing structures of power remain unchallenged. This co-optation of Agroecology to fine-tune the industrial food system, while paying lip service to the environmental discourse, has various names, including “climate-smart agriculture”, “sustainable-” or “ecological-intensification”, industrial monoculture production of “organic” food, etc. For us, these are not Agroecology: we reject them, and we will fight to expose and block this insidious appropriation of Agroecology. Agroecology is a way of life and the language of Nature that we learn as her children. It is not a mere set of technologies or production practices. It cannot be implemented the same way in all territories. Rather it is based on principles that, while they may be similar across the diversity of our territories, can and are practiced in many different ways, with each sector contributing their own colors of their local reality and culture, while always respecting Mother Earth and our common, shared values. The production practices of Agroecology (such as intercropping, traditional fishing and mobile pastoralism, integrating crops, trees, livestock and fish, manuring, compost, local seeds and animal breeds, etc.) are based on ecological principles like building life in the soil, recycling nutrients, the dynamic management of biodiversity and energy conservation at all scales. 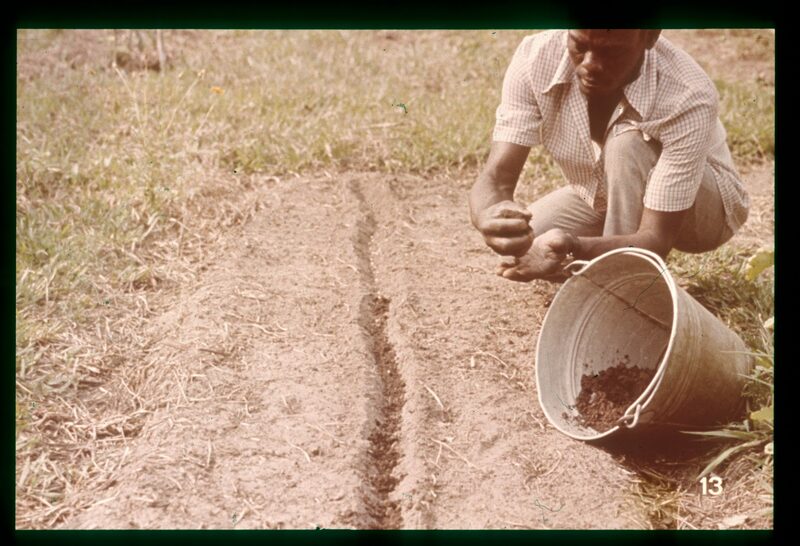 Agroecology drastically reduces our use of externally-purchased inputs that must be bought from industry. There is no use of agrotoxins, artificial hormones, GMOs or other dangerous new technologies in Agroecology. 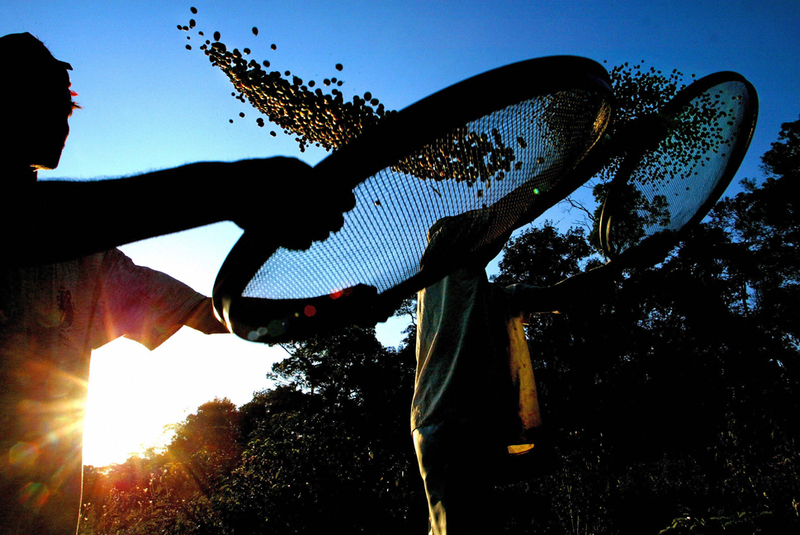 Collective rights and access to the Commons are fundamental pillars of Agroecology. We share access to territories that are the home to many different peer groups, and we have sophisticated customary systems for regulating access and avoiding conflicts that we want to preserve and to strengthen. The core of our cosmovisions is the necessary equilibrium between nature, the cosmos and human beings. We recognize that as humans we are but a part of nature and the cosmos. We share a spiritual connection with our lands and with the web of life. We love our lands and our peoples, and without that, we cannot defend our Agroecology, fight for our rights, or feed the world. We reject the commodification of all forms of life. Youth, together with women, provide one of the two principal social bases for the evolution of Agroecology. Agroecology can provide a radical space for young people to contribute to the social and ecological transformation that is underway in many of our societies. Youth bear the responsibility for carrying forward the collective knowledge learned from their parents, elders and ancestors into the future. They are the stewards of Agroecology for future generations. Agroecology must create a territorial and social dynamic that creates opportunities for rural youth and values women’s leadership. Secure access to land and resources in order to encourage long-term investment by small-scale food producers. Promote truly democratized planning processes in conjunction with relevant local governments and authorities. Ensure pastoralists’ access to and control over pastures, migration routes and sources of water as well as mobile services such as health, education and veterinary services that are based on and compatible with traditional practice. Ensure customary rights to the Commons. Ensure seed policies that guarantee the collective rights of peasants’ to use, exchange, breed, select and sell their own seeds. Protect the rights of communities that practice wild capture, hunting and gathering in their traditional areas – and encourage the ecological and cultural restoration of territories to their former abundance. Implement the Voluntary Guidelines on the Tenure of Land, Fisheries and Forests of the Committee on World Food Security and the Voluntary Guidelines on Securing Small-scale Fisheries of the FAO. The Declaration of the International Forum for Agroecology ( Nyéléni, Mali, 27 February 2015) is of most interest for the readers of LEISA revista de agroecología, located throughout all countries of Latin América. When do you think it would be avalaible the Spanish version of it, because we are interested in its dissemination asap, in the magazine as well as through our website. I fully support your vision as i am commited to work and dedicate my lifetime to make food more accessible to people of South africa. Amandla !!! I can’t thank you people enough for your work that cares for our planet, as we share in your values, learning from your good work locally + afar. We at – i come to talk story – want to give our heartfelt support, to the craziness of the Mali attack, as well everywhere. Showing that we can work w/one’s students, utilizing one’s community as extended classrooms. Showing the negativity many leave locally + afar, yet unaware how it contributes to these attacks, as we interfere in locals abilitiy to live local. We welcome you into this collaboration as we show to President Barack Obama/legislators that the Military Industrial Complex must end, as many are left behind suffering, + then they attack as others profit. Yet to see the reality of what real story can tell us. We support all factions coming to the table w/governing bodies to open the transparency, for all to take part in. Sharing humanities finest now, that can fill in these misunderstandings/undeveloped missing worn torn links for all to talk calmly, as all go figure, sharing this earth + beyond in peace. Addressing priorities in each community so as to conserve one’s energy to collectively hold self + others accountable as we do exchanges for those unable to do for self. Supporting locals to live local w/neighbors support, not false aid from afar, not Nuclear use that must end now, not the war mode + false green economies. Our friends we share your thought + your pain + thank you again for leading this awareness. We welcome you to reflect/link on our – the sun will set- spreadsheet, that we are perfecting as the global community comes together to mindfully act. Sharing options for all students to network fueling one’s community to live local in harmony. Barind Multipurpose Development Authority (BMDA) under the Ministry of Agriculture, Governemnt of Bangladesh has been planning to reorient its conventional irrigation practices( mainly through extracting underground fresh water using heavy deeptubwell causing environmental threat) to Agro ecological approach. I fully support the Declaration. Please put us in your mailing list. In month of February 2016 BMDA will organize National Stake holders Consultation on Agro-ecology. Your participation and support will be highly appreciated. I look forward to hearing from you.Thanks. Thank you – one the most powerful and concise presentations of the Agroecology value system and what it represents. 12[…] van Voedselsoevereiniteit in 2007, de declaratie van voedselsoevereiniteit in Europa, 2011, en de declaratie van agroecologie in 2015 – is tijdens dit… - Voedselsoevereiniteit!